Taken prisoner by a ruthless group of anarchists deep in the Cambodian jungle, anthropologist Jocelyn Hewitt is isolated in a dark prison cell. She is without chance of rescue and without hope. Until the man in the next cell reaches out to let her know she's not as alone as she thinks. Jocelyn's heart aches for the tortured man whose presence and voice give her the courage to risk their escape. But first she'll have to remind Oliver who he once was, what he once loved, and bring him back to life. Only then will they have a chance for freedom - and the kind of love neither ever thought possible. ©2012 Cynthia Justlin (P)2012 Audible, Inc.
What an excellent written book! This story was intriguing, romantic, and had substance. 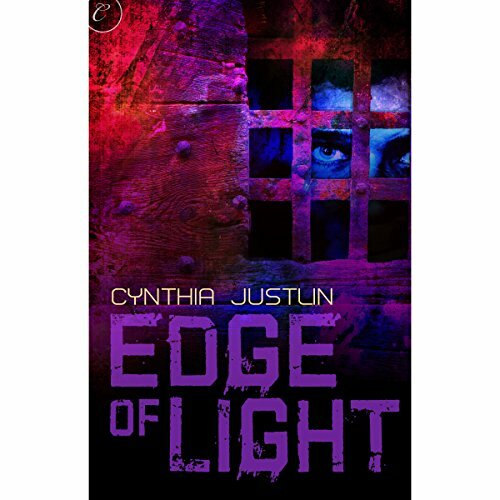 I hope Audible is able to get more of Cynthia Justlin's books. The narrator is fantastic! Would love to hear more. I strongly disliked this narrator with her over-softened tone, making the heroine whisper and whine. Not like I could like the heroine. She, after five minutes of capture passes judgment on the hero all the time, who was imprisoned for years, not showing understanding that such a thing might break a person. In addition, she is so noble, yet good for nothing, so the poor hero can never get a break from saving her all the time. And then she blackmails him to stay in his hell, or else. She goes out to be nice to everyone, but doesn't do anything for the hero. And somehow it is the hero that comes out of it looking bad. I didn't like the tone of this book, didn't like the heroine, and hated the narrator. I feel like book readers are like verbal actors, in order for the story to be great the read has to portray all of the characters emotions and characteristics.i feel this reader did not do the book justice. She read the whole book in what felt like a semi whisper. Even the parts where the book clearly says Someone shouted or got frustrated she read it in a soft meek voice. It annoyed me so much. I’m trying to make it through, but the voice of the heroine is so hesitant it’s annoying. Maybe I am just not in the mood for this book. So I am going to put it aside until later. When the voice is narrating the story, it actually is pretty good. The hero's voice is good. Or maybe it’s the character of the Jocelyn that's the problem. She is annoying! Even when she is telling someone to stay away from her.....her voice has this freakin', annoying tremble. Can she not talk above a whisper? Like a historical heroine on the verge of a swoon! And after being so determined to escape, at the first real chance to escape she says, “Oh no, you go I trust you to come back and get me.” What the hell? !